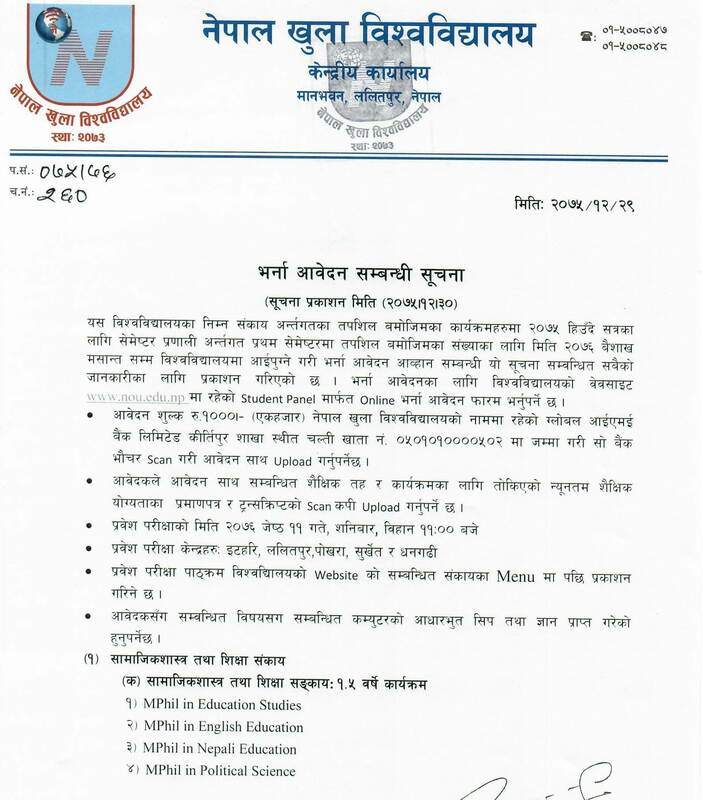 Nepal Open University announces admission open for M.Phil program the academic year 2075/76. Duly signed completed application form. Self-attested photocopies of marksheet / transcript, character certificate and citizenship. 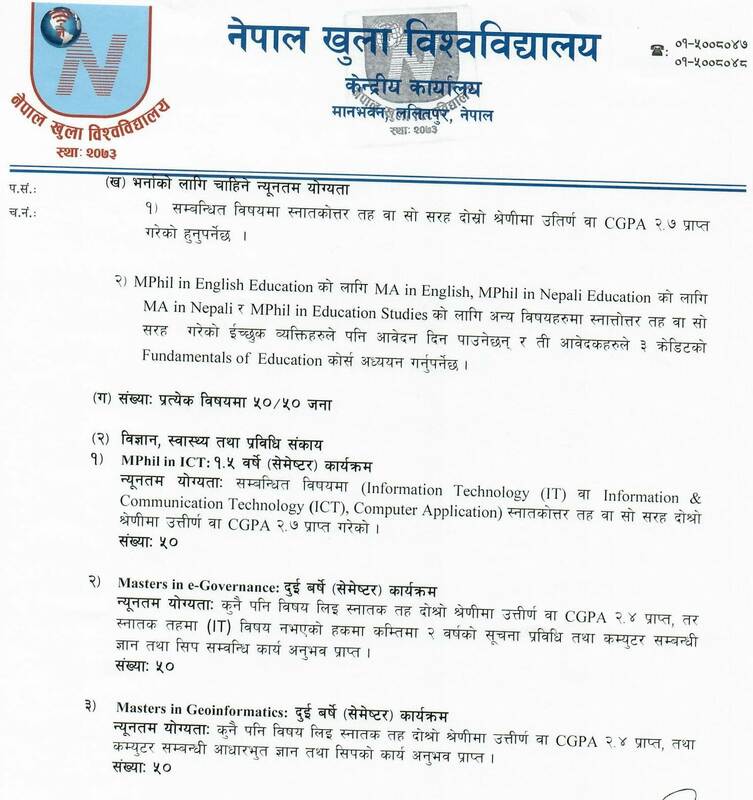 Candidates who fail to submit all the documents by the deadline shall not be allowed to attend the entrance examination. Two copies of recent passport size photos. The Application form is to be submitted online.